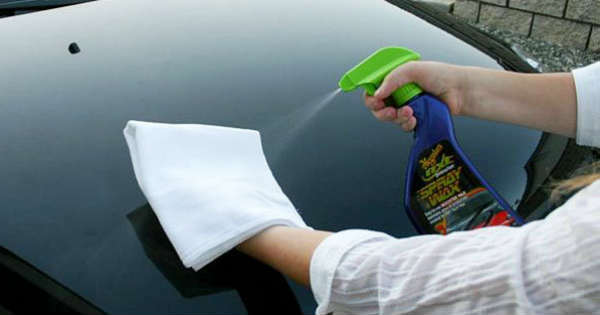 5 Spring Cleaning Tips for Drivers - Muscle Cars Zone! Spring is a few weeks away, so it`s a great time to start thinking about refreshing your car. To get your vehicle ready for the warmer weather, check out these five spring cleaning tips for drivers. 1. Replace your winter tires. If you installed winter tires, you might be wondering when they should be removed. Experts suggest waiting until the weather is consistently above 7 degrees celsius, which you can generally expect by the end of April. You might be tempted to keep your winter tires on year-round, but the flexible rubber that adds traction in the cold weather will wear down quickly in the summer heat. You can increase the life of both your winter and all-season tires if you change them as the temperatures cool down and heat up. When you`re reinstalling your all-season tires, ask to have them rotated, which will also increase their longevity. 2. Install new windshield wipers. You might not think of windshield wipers as a key safety feature of your car, but your ability to see the road in front of you is obviously important to avoid collisions. Your windshield wipers have been working overtime this winter, battling snow, slush and salt for months on end. Luckily, wipers are inexpensive to buy and easy to change yourself. While you`re at it, make sure your wiper fluid is topped up and ready for the rainy spring months ahead. 3. Wash and wax your car. Hopefully you`ve been investing in regular car washes this winter to prevent rust and corrosion caused by moisture and salt. If not, now is the perfect time to thoroughly wash your entire vehicle, including the undercarriage. Finish it off with a coat of wax to seal the paint and repel moisture. You`ll also want to pay attention to your car`s interior, which might be looking worse for the wear thanks to your boots. You can vacuum the floor, hose down the mats, wipe the dashboard, and clean the seats. 4. Schedule a service appointment. Is it time for an oil change? A replacement air filter? A top-up to your radiator, brake or transmission fluid? New brake pads? If you`re not comfortable checking these things on your own, book an appointment with a trusted mechanic to make sure everything is in working order. 5. Review your car insurance. If you haven`t reviewed your insurance coverage recently, add it to your spring cleaning to-do list. Talk to your provider to see if you can save money by adding discounts, paying your premium in a lump sum, or increasing your deductible. Insurers change their premiums often, so you can also compare car insurance quotes online to make sure you`re getting the best deal possible. Even if it`s not time to renew, you can change your coverage if the savings you find in your research are worth more than a potential cancellation fee. Soon you`ll be cruising with the windows down, enjoying the warmer weather, and with these five tips, your car will be as ready for spring as you are!